Late last year, it was Quentin Tarantino that served up a rip-roaring Western in the form of The Hateful Eight, an overly violent affair that retained all of the elements that helped lend Tarantino his reputation as a master behind the lens. 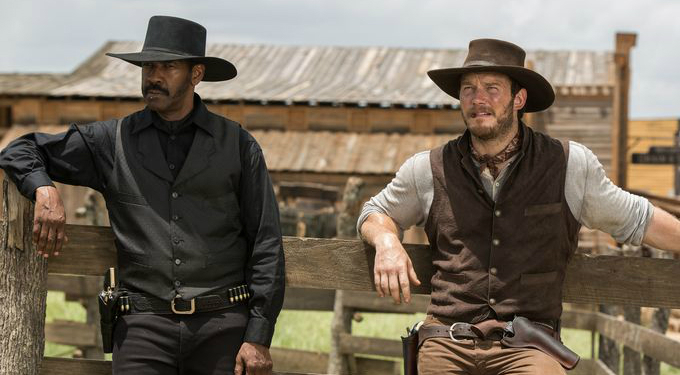 But from the hateful to the magnificent, fast forward to summer of 2016 and Sony is beginning to fire up the marketing campaign for The Magnificent Seven, Antoine Fuqua’s star-studded reboot that will trot into theaters come September. Outside of the trailer reveal and a handful of images scattered here and there, all has been relatively quiet on the Western front – or, more specifically, Rose Creek – but a new poster emerging today assembles Fuqua’s motley crew. 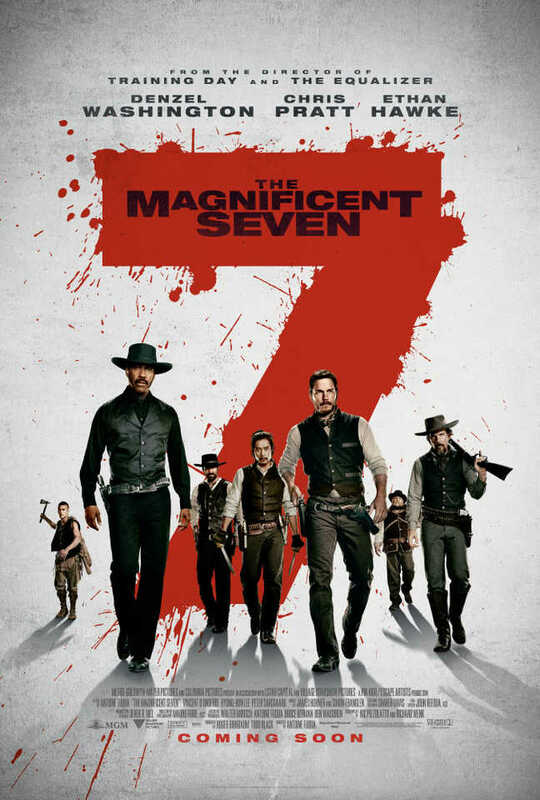 Taking up arms in the face of a common enemy (Peter Sarsgaard), The Magnificent Seven are brought in to defend Rose Creek from a swarm of crooks and thieves. Deciding to fight fire with fire, it is Haley Bennett’s widow that calls upon Chris Pratt and Co., paving the way for a star-studded ensemble that includes Denzel Washington – reuniting with Fuqua after the success of The Equalizer – Ethan Hawke, a bearded Vincent D’Onofrio, Wagner Moura, Byung-Hun Lee and Luke Grimes. The Magnificent Seven trots into theaters on September 23. To catch a glimpse of the motley crew in action, feast your eyes on the latest poster down below, which bears a fairly striking resemblance to The Hateful Eight.